Pink Gin has arrived just in time for the weekend! Ladies, look no further for your new PINK alcohol fix for the weekend ahead. Gordon's has just released a new Gin for the millennials and we can't wait to get our hands on some! Noted to be the best thing since frosé, this Gin is the perfect take on an old classic, and Gordon's noted for all you non-gin lovers, that this taste is slightly more subtle than it's original counterpart. Used with rosé wine as a part of it's new formula, this gin has all the usual flavours you normally see in a gin such as coriander, cardamon and juniper berries - all distilled down to a beautiful eye-catching alcohol. 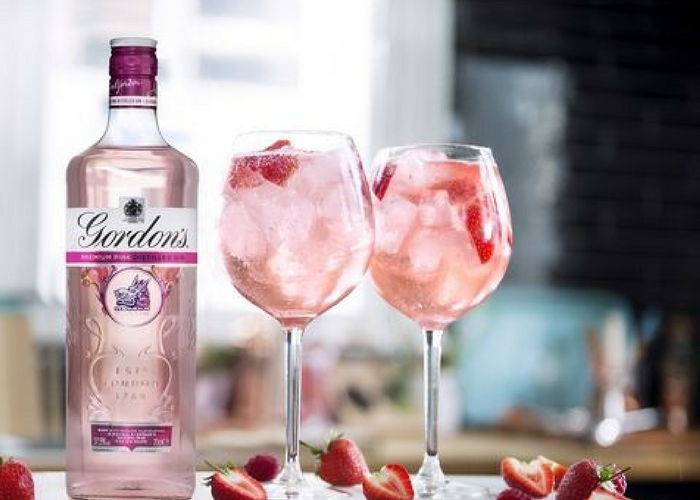 This new pink trend is believed to have started with the uproar of the rose pink colour from 2015, and Gordon's is the first to put it into one of our favourite spirits. Not yet shipping to NZ (insert sad face here), we can expect to see it on our shores in no time after the success it is having in the UK. So for your next G&T try it with this and adding some lemon and strawberries - that makes it healthy right?